SEAN SOOTER – A major reason for THE DIAMONDS’ longevity as performers and entertainers lies in the diverse backgrounds of the individual members of the group. A very recent addition to the group is tenor Sean Sooter. Sean received his early performance training with the highly acclaimed national touring group, The Young Americans – performing in eight U.S. tours and as well as Japan. Sean went on to work as a featured vocalist aboard the MS Noordam with Holland America Cruise Lines. Some of his favorite production credits include various productions of Forever Plaid in Los Angeles and Orange County, CA, as well as performing with the Dapper Dans of Disneyland. Sean has served as musical director for numerous musical productions including Five Guys Named Moe, Little Shop of Horrors and Xanadu. He earned his BA in Music Education from California Baptist University and a Master of Arts degree in Education through Azusa Pacific University. Sean worked for six years as a high school music teacher before joining the Diamonds – following his dream of singing with “one of the best vocal groups in show business today.” Sean’s wide array of talents has made his addition to THE DIAMONDS’ lineup a real plus—for both the group and their loyal fans! JERRY SIGGINS – Lead singer Jerry Siggins has accumulated some impressive credits of his own. Jerry has worked throughout the United States, Japan, and Australia as a singer and actor. He spent five summers at Jackson Hole’s Pink Garter Theater and has guest starred on The Tonight Show, Tony Orlando and Dawn, and The Love Boat. Before setting down roots as a permanent member of THE DIAMONDS in 1991, Jerry enjoyed a successful career as an actor in television commercials and was actively involved in Southern California theatre. He sang in a doo-wop group called Danny and The Dappers and was a mainstay at Disneyland and Disney World as a vocalist with The Dapper Dans vocal quartet for years. JEFF DOLAN – The newest addition to THE DIAMONDS is bass singer Jeff Dolan. 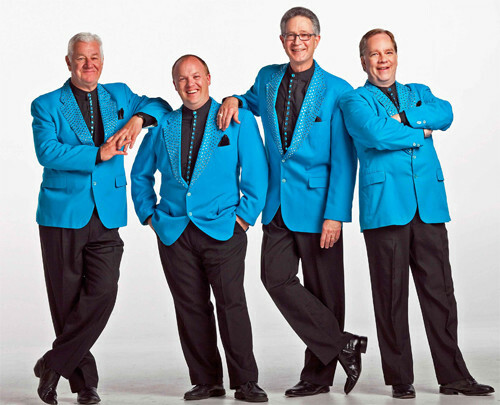 Jeff has worn many musical hats in his career — first as a member of the sensational vocal jazz group Beachfront Property, then as the bass singer and vocal contractor for Ray Conniff, touring internationally for ten years. Jeff was a member of the Dapper Dans of Disneyland, worked as a Christmas caroler for 25 years and has appeared on over 25 CDs. He has numerous recording credits including a Grammy award and singing with the Phoenix Chorale. He has graced the musical theatre stage in both Phoenix and Southern California, and served as the artistic director of the Tucson Barbershop eXperience Chorus. But for sure, Jeff’s greatest accomplishments are his kids — Danny, Bonnie, Hayley and Claire!. CLASSIC ROCK AND ROLL WITH TODAY’S ATTITUDE – THE DIAMONDS!